Goddards is a house made from chocolate. Not in the literal sense. It was built in 1927 from wealth amassed from the manufacture of chocolate. 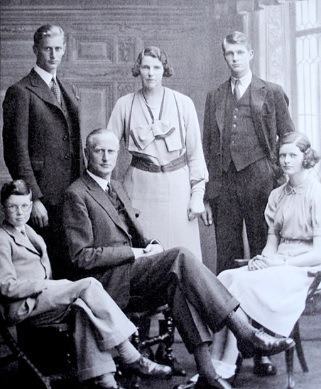 However, Goddards might never have existed had it not been for a series of family tragedies. This story really begins in 1767 when Robert Berry opened a shop close to Bootham Bar in York. This gentleman made a living selling cough lozenges, candied peel and sweets. He would later be joined by William Bayldon and the business renamed as Bayldon and Berry confectionery. Joseph Terry (1793-1850), a farmer’s son, moved to York as a young apothecary apprentice and eventually started his own chemist shop in Walmgate selling spices, vinegar, medicines and perfumes and bloodletting by leeches. In 1823 he married Harriet Atkinson, sister-in-law of Robert Berry. This family connection provided the ambitious Joseph with a new opportunity. When William Baylden left the business the ambitious Joseph Terry became Berry’s new business partner. He sold his chemist shop and, for the next two years, gained experience selling cakes, candied peel, marmalade and medicated lozenges. In 1824 the business moved to a new shop in St Helen’s Square. Robert Berry died, a year later in 1825, and was succeeded by his son, George, with the shop now known as Terry and Berry. This new partnership lasted just three years when George Berry left the business. Terry, the sole owner, and trading as Joseph Terry and Company, retained the existing peels, lozenges and pharmaceutical products, and added bakery, boiled sweets and comfits to the growing product range. The advancement of the railway meant that his products were being transported across the country and sold in 75 towns in the north, midlands and in London. By 1840 the business had become Joseph Terry & Sons. Joseph Terry died in 1850 and the company was taken over by his middle son, Joseph Terry (1828-1898) assisted by his two brothers – Robert and John. He was the inspiration and expanded the business. In 1862, production moved to a new steam-powered factory at Clementhorpe. The site, beside the River Ouse, allowed ships to travel up the river from the Humber bringing coal, sugar, cocoa and ingredients from around the world. The premises at St Helen’s Square became a shop, ballroom and restaurant (lasting until 1981). During the 1880s chocolate was increasingly popular and a new chocolate section was added. Victorian Britain had fallen in love with chocolate but competitors – Fry, Cadbury and Rowntree – had bigger market share. However, Terry’s were more innovative, developing boxed chocolate assortments, encouraging rivals to follow Joseph, Lord Mayor of York four times, was knighted in 1887. 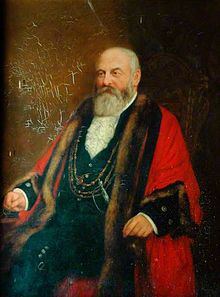 He died in 1898 and was succeeded by his sons Thomas Walker Leaper and Frank. It is here that fate plays an important part in our story. In July 1910, Thomas W. L. Terry was cycling on his new bike down Windmill Lane towards Tadcaster Road in York. A certain Mr Forth happened to come round the corner and Thomas ran straight into him. A shaft from the bicycle pierced his right thigh. Blood poisoning set in and he died from sepsis. This tragedy may have been the catalyst for his son, Noel Terry (1889-1980), to join the business a year later. Noel, aged 21, had joined the banking industry on leaving Marlborough school. In 1911, he joined Joseph Terry & Sons, with a workforce of around 300, working in the sales department at St Helen’s Square. In 1915 he married Kathleen Leetham (1892-1980), the daughter of Henry Ernest Leetham, a local miller and prominent businessman. From the beginning Leetham was opposed to Noel’s advances on his daughter and they resorted to communicating by secret letters. 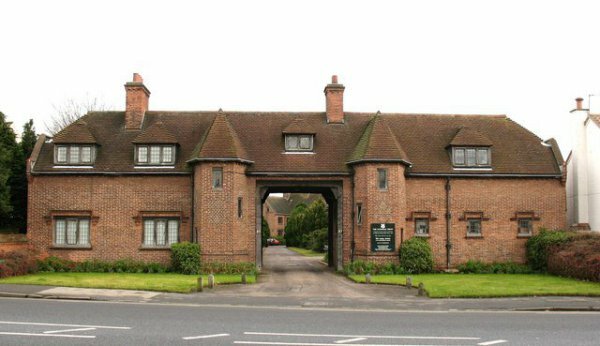 However, he eventually agreed for them to marry at Trentholme, the home of Noel Terry’s maternal grandfather. Noel’s new career would be interrupted by the First World War. He was commissioned into the 5th West Yorkshire Regiment in August 1916 and quickly wounded when a machine gun bullet shattered his thigh during the Battle of Somme. Legend has it that a silver cigarette case, concealed in his pocket, saved his life. Returning to England he took a job at the Ministry of Pensions with his Uncle Frank. After the war he returned to the family business determined to make his mark. The married couple set up home at No 12, St George’s Place, in York. They lived in this semi-detached house, half-timbered, with their children – Peter Noel Leetham Terry (1919-2006) and his younger brother, Kenneth Thomas Peart Terry (1920-1944). In 1923, fate played another terrible hand. On the afternoon of Sunday 22nd July a gunshot shattered the peace at Aldersyde, a mansion at Dringhouses. On investigation the body of Henry Ernest Leetham, Kathleen’s father, was found outside the front door. A sporting rifle lay across his chest. An inquest ruled that Leetham had gone to a room on an upper floor, with a slanting roof below the window, laid on the roof, rested his feet on the gutter, and placed the muzzle of the rifle in his mouth, pulled the trigger and fallen to the ground below. It was a devastating blow. Leetham had been a director of the well-known milling firm of Henry Leetham and Sons and was a respected figure in the milling and corn trades in the North of England and on the Corn Exchange, in Mark Lane, London. Of more importance, he’d been the Chairman of Joseph Terry and Sons since 1915, a reconciliatory gesture for the marriage between Noel and Kathleen. His tragic death meant that Noel Terry would take a significant role in the running of the company. He was made Joint Managing-Director with his step-uncle, Francis. Under their control production and revenue almost doubled. 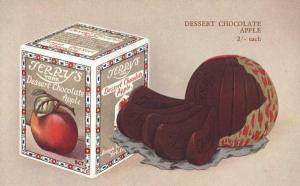 Chocolate was now the foundation of the Terry’s business and new opportunities were sought. The Clementhorpe factory had reached capacity and expansion prevented by the adjacent Rowntree Park. The need for new premises led Noel Terry to choose a green field site, close to York Racecourse, at Bishopsthorpe Road. The grand scheme – including a massive factory, clock tower, liquor factory and office block – designed by J.G. Davies and L.E. Wade, was constructed with red brick and sandstone ashlar dressings. The new factory opened in 1926 and produced an important new line in their chocolate collection. This was the Dessert Chocolate Apple that quickly proved to be a huge success. This was also the year that Noel Terry made a significant decision for his family. By now their home at St George’s Place was too small. With two young sons and a new daughter, Betty Terry (born 1925), the increasing family wealth meant they could afford a much bigger house. A short walk across St George’s Place meant Noel was able to procure the services of a neighbour. This turned out to be Walter Henry Brierley (1862-1926), a respected architect, who’d practised in York for 40 years. The plan was for Brierley to design and build a new family home, a short distance away on Tadcaster Road. Noel had purchased a plot of land overlooking the racecourse and within walking distance of the new factory at Bishopsthorpe. Brierley agreed and set to work on plans. Alas, it was a project the architect never lived to see. He died, plans completed, in August 1926. The gardens, stretching from the terrace down to the racecourse, were landscaped by George Dillistone (1877-1957). He was a partner of the landscape gardening firm of R Wallace & Co from Tunbridge Wells. He’d previously worked on Wadhurst Park and later collaborated with Edwin Lutyens to devise the planting schemes for Julius Drewe’s infamous Castle Drogo in Devon. 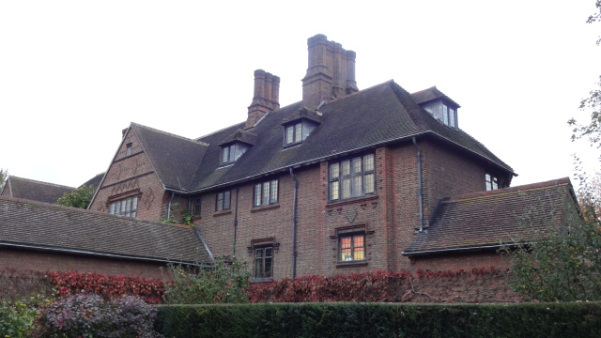 Goddards, the perfect family home, was a welcome retreat for Noel Terry. His study overlooked the newly created gardens and he was able to make the short walk across the racecourse to the new factory. Despite its proximity to Bishopsthorpe Noel Terry rarely entertained business clients at home. Another son, Richard Ernest Terry, was born in 1928 (died 1984), each of the family being allocated their own bedroom. They were often seen walking green lizards, bell toads, terrapins and rabbits, strapped in harnesses, around the racecourse. Despite it being a new-build Noel Terry was keen to furnish it in a distinguishing style. His love of furniture resulted in him gathering fine 18th-century furniture widely regarded as one of the finest collections in the country. Within this were mahogany pieces by Chippendale, Ince and Mayhew, John Linnell, John Gordon and William Vile. In addition, he collected English clocks which were displayed around Goddards. The business blossomed under Noel Terry and the company launched two products that would be synonymous with the family name. In 1931, the Terry’s Chocolate Orange was launched to compliment the Chocolate Apple and, in 1936, a new plain chocolate assortment was created under the name ‘All Gold’. However, the Second World War would leave a shadow over the Terry family. Like every other family they made sacrifices. Confectionery production at Bishopsthorpe was reduced and part of the site switched to the manufacturing of propeller blades for fighter aircraft. The Terrys factory now specialised in Devon Milk Chocolate, made from condensed milk, and wrapped in paper bags. The eldest son, Peter, became a training instructor at Catterick but their greatest forfeit was the death of Kenneth. He had joined the RAF and received the Distinguished Flying Cross in 1942 after showing ‘courage, skill and determination’ in destroying a 5,000 ton German merchant ship off the Norwegian coast. Despite sustaining damage to his aircraft, and without radio communication, he managed to fly his crew home to safety. His death, in 1944, was more tragic as it happened during a simple training exercise, north of Fishguard, in Cardigan Bay. The B-24 Liberator, from 547 Squadron, was on night exercise testing new radar equipment with a Royal Navy submarine. The aircraft mysteriously crashed into the sea killing Kenneth and his crew of eight. He was buried in Dringhouses Cemetery. After the war life would never be the same. Noel Terry busied himself by becoming one of four founders of the York Civic Trust in 1946. To confound matters sales of confectionery were still affected by rationing that would not end until 1953. The business survived and Sir Francis Terry retired in 1958 leaving Noel to assume sole responsibility. He’d been joined by his son, Peter, but the remaining children would lead lives elsewhere. Betty left home at the age of 18 and Richard would pursue a career in agriculture. In 1963, Noel Terry engineered the sale of the company to Charles Forte. The acquisition, for £4.3 million, secured Terry a place on the board of Forte Holdings. The confectionery business now sat awkwardly alongside hotels, coffee houses, wine bars, ice cream manufacturing and leisure facilities. Seven years later he chose to retire and spend the remaining years at Goddards. His son, Peter, stayed with the company becoming deputy managing director. The US giant Colgate-Palmolive acquired Terrys in 1977 but ownership was short. United Biscuits added Terrys to their portfolio in 1982 with Peter retiring a year later. 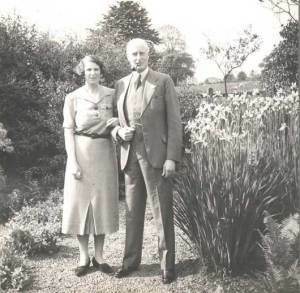 Noel and Kathleen Terry remained at Goddards until 1980. Kathleen (aged 88) passed away in March and Noel (aged 90) would die three months later. Their deaths would provoke a dilemma. What to do with house and contents? The first course of action was instigated by Peter Terry who approached the York Civic Trust whom he knew was looking for a scheme to secure the future of Fairfax House. He offered them the entire private collection of his father’s 18th century furniture collection. Once accepted this collection provided a treasure trove and the best examples of British cabinet-making and horology. Once moved to Fairfax House the contents proved to be exceptional. 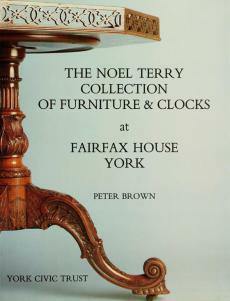 Noel Terry had begun collecting in 1918 with the purchase of a bureau bookcase for £44. His timing was opportune. Many aristocratic families had chosen to sell valuable contents to secure their financial future. The country house sales provided an important platform for him to seek out the best pieces. His inspiration probably came from his father-in-law, Henry Ernest Leetham, who’d created an impressive collection of porcelain and jade. Terry had furnished Goddards with assistance from local dealer Charles Thornton and Mallett’s of London. He had bought one or two outstanding pieces each year up until 1978 and his wish was that the entire collection be preserved for the City of York. 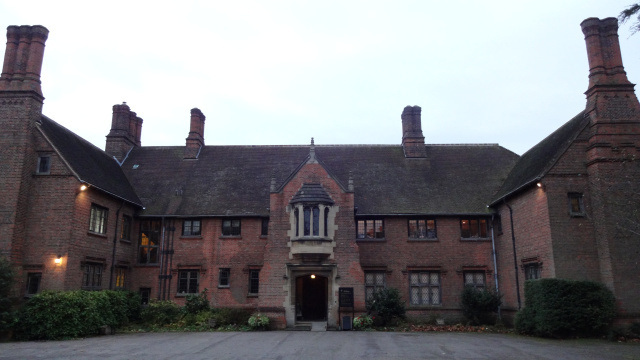 Goddards was granted Grade 1 listing in 1983, the same year it was handed to the National Trust with planning permission for conversion to office use. It became the Regional Office with a willingness to protect the interiors. So little was altered that it still retains most of its original features. Arts and craft wallpapers and panelling, covered by wall boards, remain. Light fittings, switches, original baths, water closets, washbasins and radiators survive. The impressive gatehouse reverted to residential use in 1999 and, in 2012, the National Trust was granted permission to open ground floor and first floor rooms as a visitor attraction. Betty Terry (now Lawrie), the only surviving family member, helped the trust with research and provided stories, photographs and memories for the house. With interiors restored only the original furniture is missing. This resides on public display at Fairfax House but Goddards is elegantly refurnished with period pieces. Each room now contains an exhibition plotting the Terry family story. Although the house survives a sadness darkens the Terry’s story. In 1993 Kraft Foods acquired the chocolate business and eventually moved production out of York. Products are now manufactured in Belgium, Sweden, Poland and Slovakia. In 2005 the Bishopsthorpe factory closed and ended the company’s long association with the city. The factory, renamed The Chocolate Works, will become part of a mixed-use development of residential, commercial and leisure facilities.